Traditionally, there has been a large gender gap in the world of information technology. However, that gap is shrinking fast. Last year, 20% of Fortune 500 CIOs were women — that’s up from 16% in 2017. There are more women in information technology than ever before and they’re changing the way the enterprise operates. These female leaders are shaping IT while encouraging diversity, innovation and collaboration. They’re driving progress within their organizations and inspiring upcoming women IT leaders. But how do you make it to the top of the information technology world? We gathered advice from some of the world’s top female IT executives to find out. These women share what inspires them in their careers, as well as what they encourage their teams to strive for. Whether it’s personal development or tech best practices, their advice is influential. 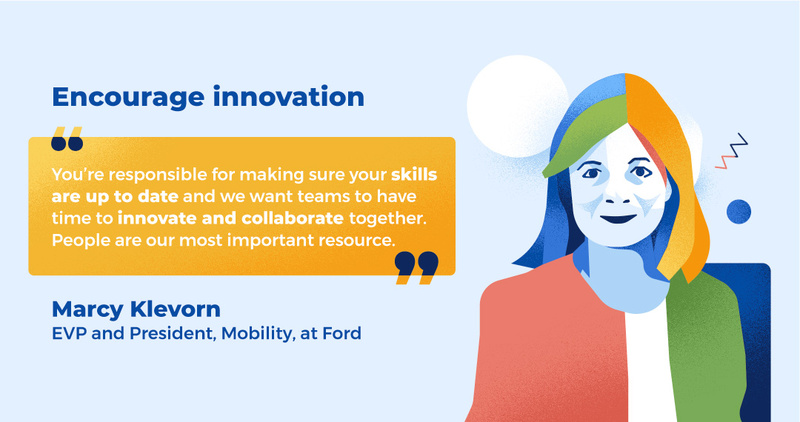 1) Marcy Klevorn (EVP and President, Mobility, at Ford) – Encourage innovation. Marcy Klevorn started her career at Ford in 1983 in the telecommunications department and worked her way to the top. Now the EVP and President of Mobility, Klevorn encourages her employees to innovate together. Her investment in her team is an integral part of Ford’s continued success. 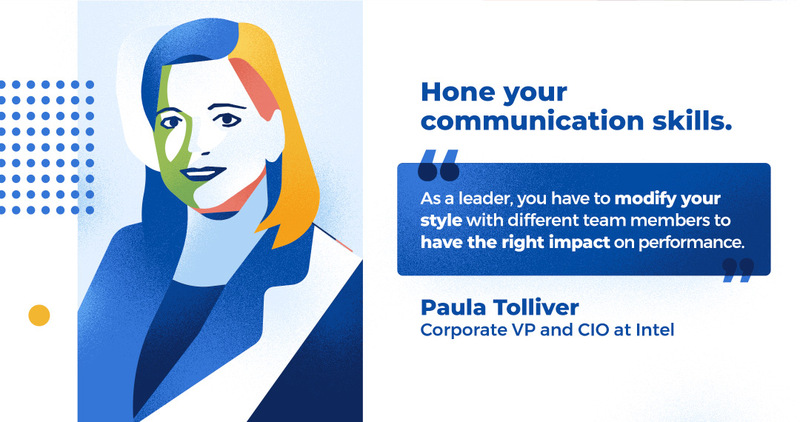 2) Paula Tolliver (Corporate VP and CIO at Intel) – Hone your communication skills. Paula Tolliver leads thousands of IT professionals worldwide. She specializes in digital asset protection and also leads IT innovation. Her teams work to put in place Intel’s vision by developing smart and connected technology. Throughout her 20+ year career in tech, Tolliver has leveraged her communication skills as a valuable resource. She credits her adaptable nature and leadership skills as keys to her success. 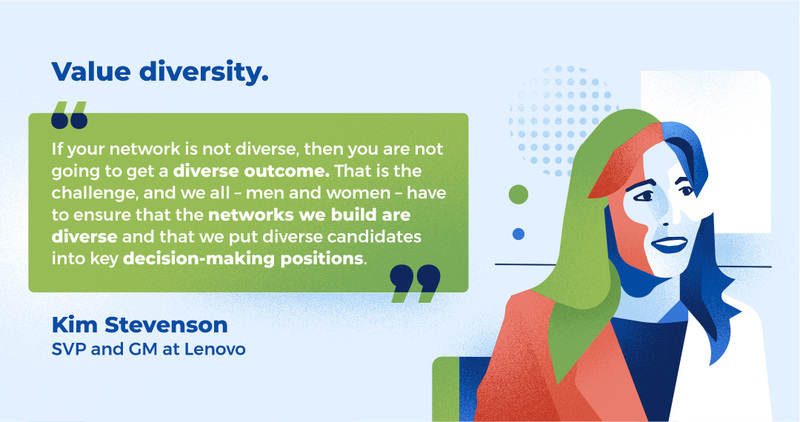 3) Kim Stevenson (SVP and GM Data Center Infrastructure at Lenovo) – Value diversity. After serving as the COO and Corporate Vice President at Intel, Kim Stevenson now leads the IT team at Lenovo. During her career, she’s worked to raise business expectations in IT while navigating the industry’s evolution. Stevenson is seen as a tech visionary and has led the digital transformation of several companies. Her push for diversity is part of what makes her teams so successful. “If your network is not diverse, then you are not going to get a diverse outcome. That is the challenge, and we all – men and women – have to ensure that the networks we build are diverse. And that we put diverse candidates into key decision-making positions. 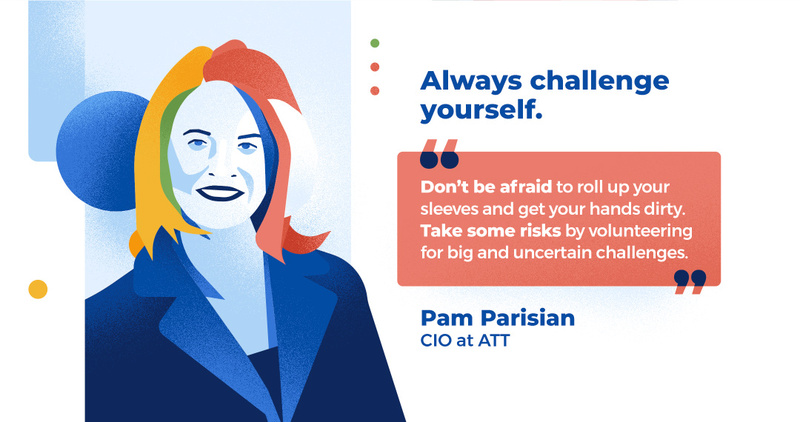 4) Pam Parisian (CIO at AT&T) – Always challenge yourself. Pam Parisian has worked with the strategy, planning, design and development of information technology at AT&T. As their CIO, she has led the evolution of the company. For example, her team helped revolutionize AT&T’s in-store experience. They introduced free-roaming sales assistants with iPads to help customers. Parisian also led a program that retired 3,800+ obsolete apps at AT&T. AT&T, thus, saved about a billion dollars per year. Her ability to take challenges in stride while enjoying her work has made her one of the most revered women in tech. 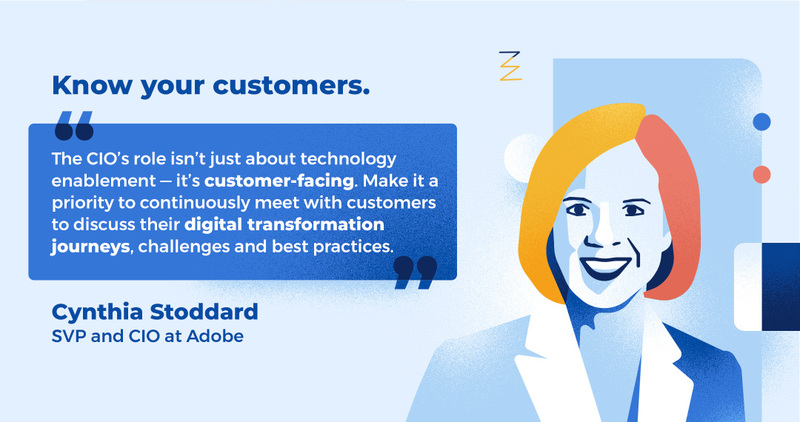 5) Cynthia Stoddard (SVP and CIO at Adobe) – Know your customers. Cynthia Stoddard oversees IT and cloud operations teams and leads Adobe’s global strategy. An IT industry veteran, Stoddard has led several IT successes during her 25+ year career and won numerous awards. In a recent blog post, Cynthia discussed the CIO’s shifting role from technology enablement to customer-facing leadership. “The CIO’s role isn’t just about technology enablement — it’s customer-facing. Make it a priority to meet with customers to discuss their journeys, challenges and best practices. Then, bring those insights back to the team and the business to improve internal and external processes. 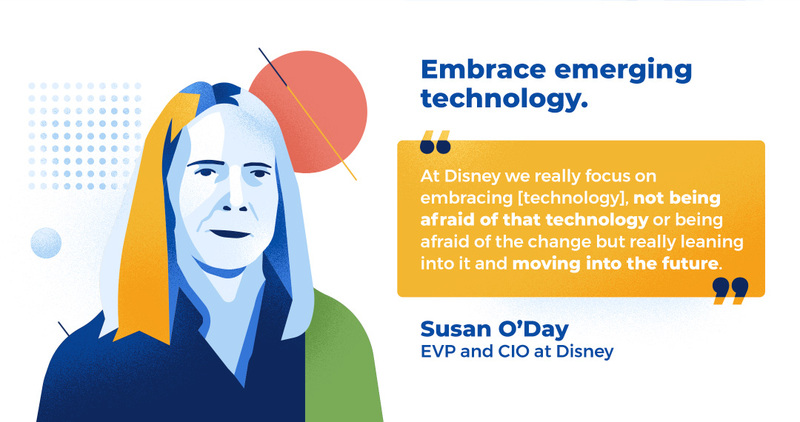 6) Susan O’Day (EVP and CIO at Disney) – Embrace emerging technology. Susan O’Day’s experience with technology transformation has led her in a career of innovation. Her clear vision has allowed her to be an effective leader. She has implemented company-wide programs designed to enhance and improve operations and processes. She excels at embracing change and leading her team through fast-changing environments. 7) Sheila Jordan (Senior VP and CIO at Symantec) – Focus on digital hygiene. Responsible for driving software company Symantec’s IT strategy, Sheila Jordan ensures they stay ahead of the curve. Throughout her career, she’s worked to drive productivity and strategic business partnerships. One thing she values: cybersecurity. 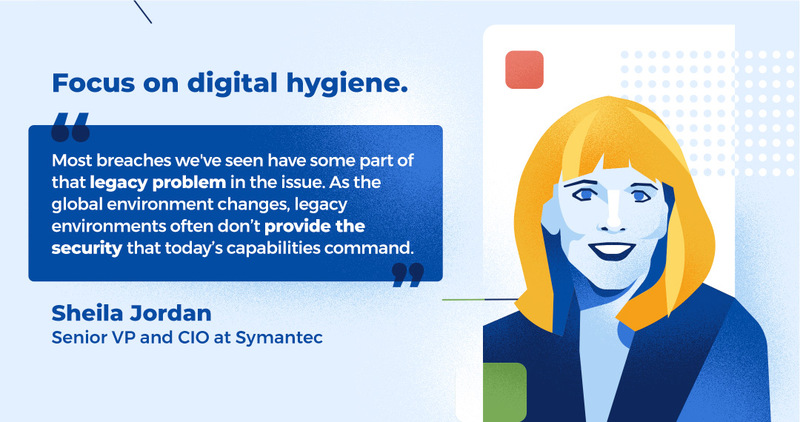 In a thought leadership article on Symantec’s blog, she stressed the importance of keeping up with digital hygiene by keeping systems up to date. “At many companies, especially those that have been around 50, 60, or 70 years, there’s a lot of legacy applications and technology…My advice: go clean up that environment. Most breaches we’ve seen have some part of that legacy problem in the issue. 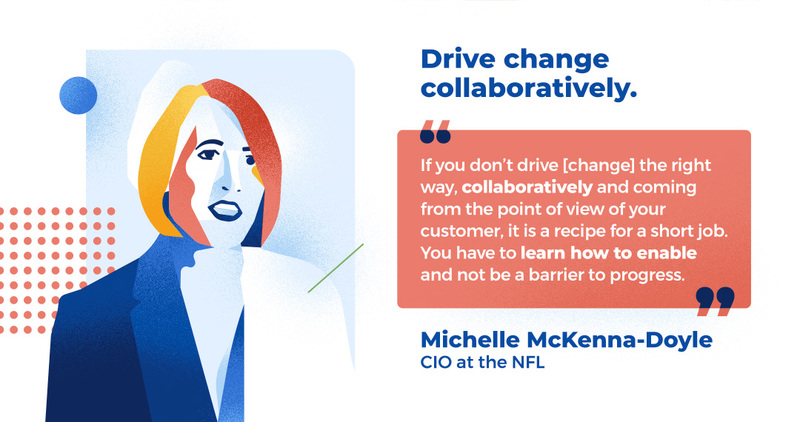 8) Michelle McKenna-Doyle (CIO at the NFL) – Drive collaborative change. A game changer in the world of sports, Michelle McKenna-Doyle leads the National Football League’s technology strategy. She also oversees shared service delivery and technology activities. She’s led projects spanning marketing, technology, business development, operations and finance. One thing she stresses as a leader is digital evolution through collaboration. 9) Maya Leibman (Executive VP and CIO at American Airlines) – Take responsible risks. Maya Leibman is in charge of all information technology systems at American Airlines. This includes systems development, infrastructure, operations and strategy. She has led a variety of pricing and yield management teams, technology systems and customer relationship management teams during her long career with the company. Leibman’s advice to other leaders is to mitigate risk while continuing to innovate and improve processes. 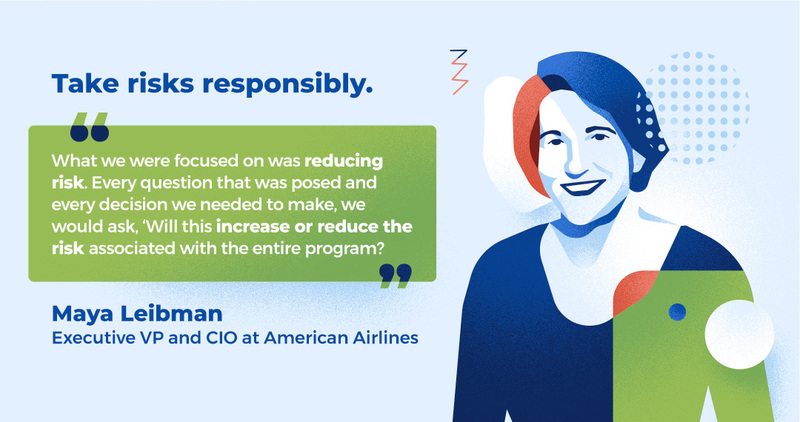 In an interview with Business News Travel, she discussed her processes during the American Airlines merger with U.S. Airways. 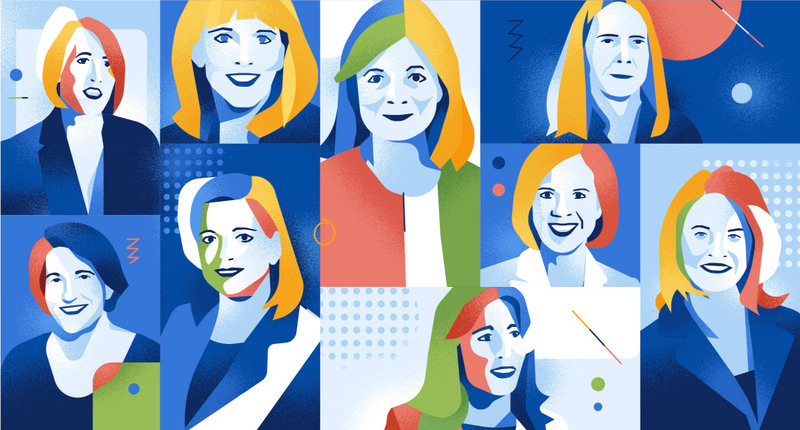 After hearing the wise words of so many visionary women leaders, you may be wondering what it takes to be a female CIO. To start, most female CIOs are well-educated. Half (51%) of women in information technology hold at least one advanced degree and 40% have MBAs. Despite high levels of education, a 2017 ISACA Survey found that women are still underrepresented and underpaid in the technology space. The resiliency of the women in these roles is only highlighted by these statistics and it shows that they aren’t afraid to take on new opportunities: Only 11% stayed at the same company for their entire careers. Women in information technology give back regularly: 40% of Fortune 500 women CIOs serve on a non-profit board or volunteer in other capacities. They also make time for hobbies like golf, reading, cooking, skiing and travel. These female tech leaders are intelligent and inspiring. By leveraging their unique skills they have risen the ranks to succeed in a male-dominated industry. Even the most effective communicators benefit from solid business communication software. Make sure your company can put its best foot forward by using the most efficient business communications suite.